Brake defects have recently gained a lot of attention due to high-profile cases in which brake problems have been discovered in some very popular car models. Unfortunately, not all brake defects are caught and repaired before resulting in serious accident injuries and fatalities. 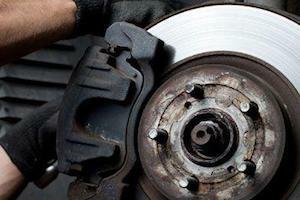 Injured Due to a Brake Defect? At the San Jose law firm of Corsiglia McMahon & Allard, L.L.P. our Bay Area brake defect attorneys help people who have been injured by auto defects seek fair compensation. For a free consultation, contact us today. You will not pay a fee unless we help you win your case; call (408) 289-1417.
Notable Case Result: $625,000 against a major car manufacturer on behalf of a family who lost its mother due to what was alleged to be a defectively designed braking system. Car manufacturers are generally held strictly liable for injuries caused by auto defects. If the manufacturer of your car was unaware of a brake defect or knew about it but chose to delay a recall, that manufacturer may be held responsible for compensating you for your injuries. Even if the brake defect that caused your accident has already been the subject of a recall, it may still be possible for you to obtain personal injury compensation. Our attorneys have the trial experience to effectively stand up to the big automakers and seek fair compensation for people who have been injured by brake defects. We are known throughout northern California and nationwide for the quality of our representation. If you have sustained a serious injury or lost a loved one due to a defective auto braking system, don’t hesitate to contact us to discuss what our team of personal injury lawyers can do to help you pursue the money damages you deserve; call (408) 289-1417. We serve clients throughout the Bay Area, including San Jose, Santa Clara, Los Gatos, Campbell and Gilroy.